Confession: I eat popcorn every night. You know, everyone has their thing, and popcorn is mine. 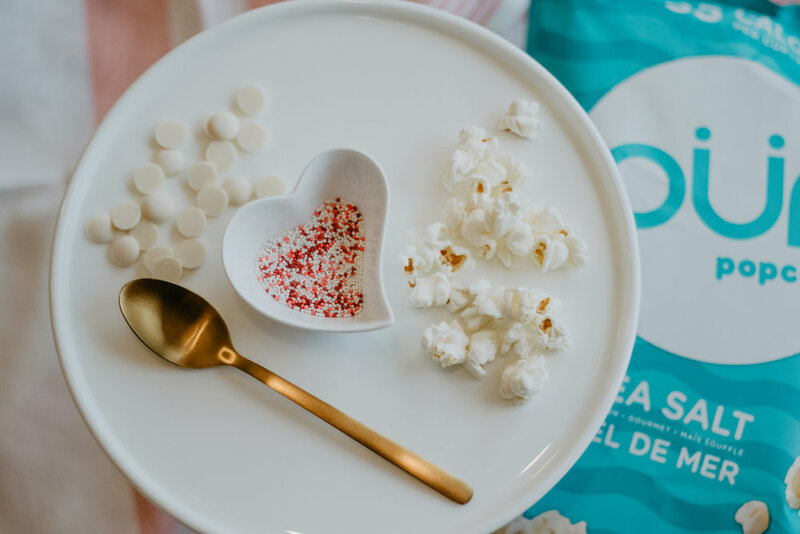 So this LOVE month, we wanted to take a spin on a classic movie night snack (or every night snack in my world) and spruce it up for February. 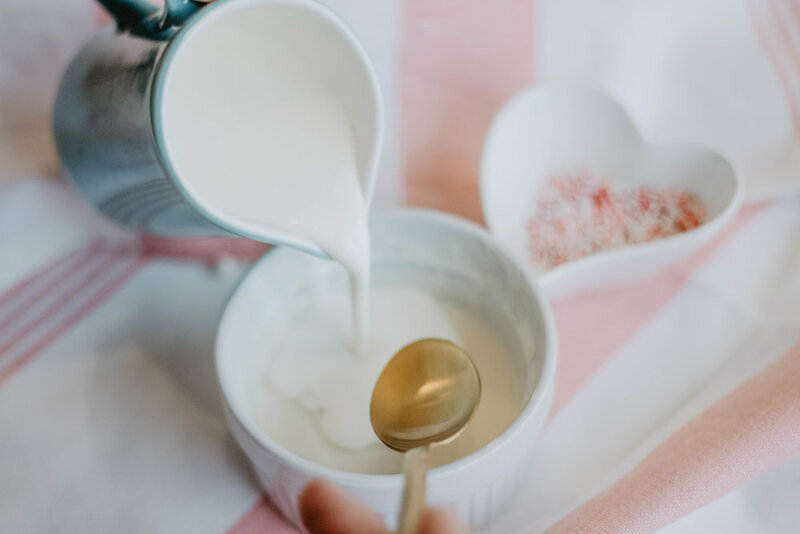 We kept this recipe super simple but oh so good! 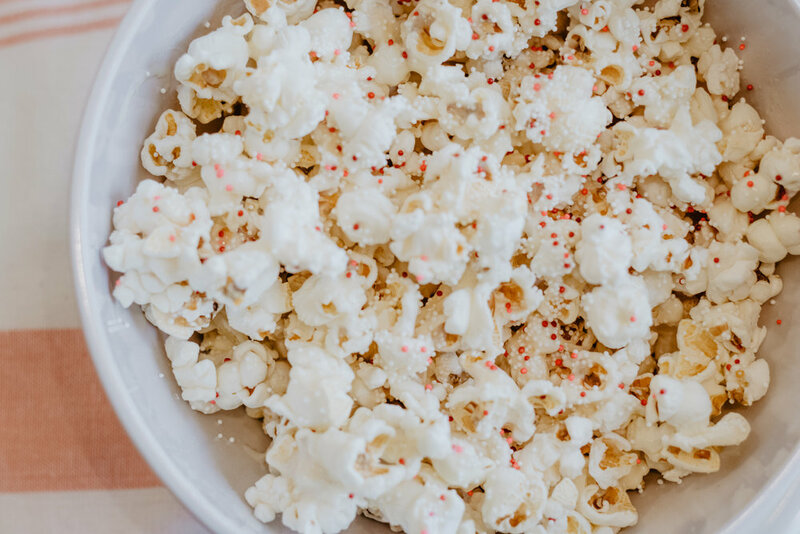 All we grabbed was Pur Popcorn, white chocolate melting wafers, and sprinkles, and our little snack instantly became glamorous. We simply melted the chocolate, drizzled over top of a bowl of popcorn, topped with sprinkles and gave it a good mix. It really was so simple but we both agreed (our kids as well) that it was so yummy. You could add anything you want to this such a pink marshmallows, m and m's, nuts etc. 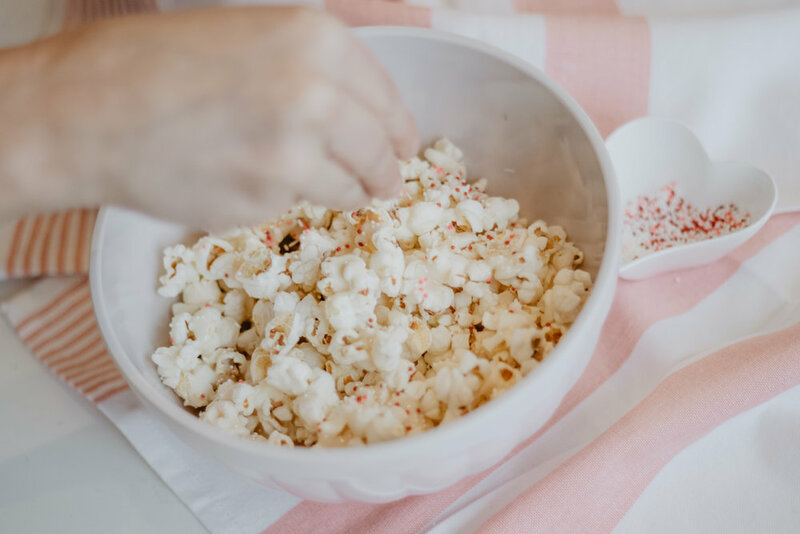 This is a great idea to have ready for when your kids get home from school one day as a special treat or maybe on a family movie night you can spruce up the classic popcorn bowl.